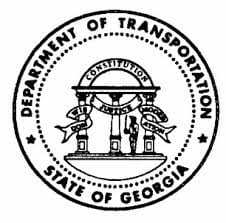 ATLANTA (January 25, 2017) | The Georgia Department of Transportation (GDOT) awarded approximately $8.6 million for road projects in Senate District 51 as part of a $54 million statewide construction and maintenance upgrade. Projects for Senate District 51 were announced as part of the 2016 November and December awards. Dawson County was awarded a project totaling around $3.8 million. 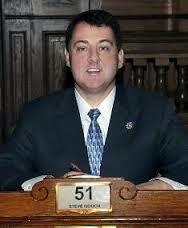 This funding will go toward construction of a roundabout on State Route 53 at State Route 183. The anticipated completion date for this project is May 31, 2018. A project totaling around $4.5 million was awarded to address approximately 53 miles of plant mix resurfacing and surface treatment paving at five locations across Fannin and Pickens Counties. These upgrades will be completed by November 30, 2017. Along with this award, Pickens County was awarded an additional project totaling $292,243. This project will increase safety throughout the county by funding signing and pavement marking upgrades at railroad crossing location throughout the county. The anticipated completion date for these projects is May 31, 2018. Details on all projects awarded can be found through the Award Announcement Downloads link at https://www.bidx.com/ga/letting?lettingid=16052001. Click on Award Announcement on the right.